In Part 1 of our series, we introduced you to Pulses and explained why the United Nations has chosen to spotlight them in 2016 for their nutritional and environmental benefits. Now in Part 2, we unveil some family-friendly tips for incorporating pulses into your daily diet. We hope you choose to make these powerhouse foods part of your next great meal! Buying bags of dried beans is both an economical and healthy way to introduce more beans into your daily meals. Although canned beans are convenient, you may be surprised to find out that cooking dry beans at home can be just as easy and they freeze well for later use. Bring 1 cup of pulses and 3 cups of water to a boil. Worried about gas and bloating?? 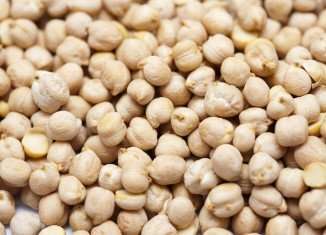 Everyone knows that pulses such as beans, peas, lentils and chickpeas can sometimes lead to gas and bloating which can be both uncomfortable and embarrassing. For more recipes and ideas for including more pulses in your family’s meals, check out PulseCanada.com to access a free online cookbook!